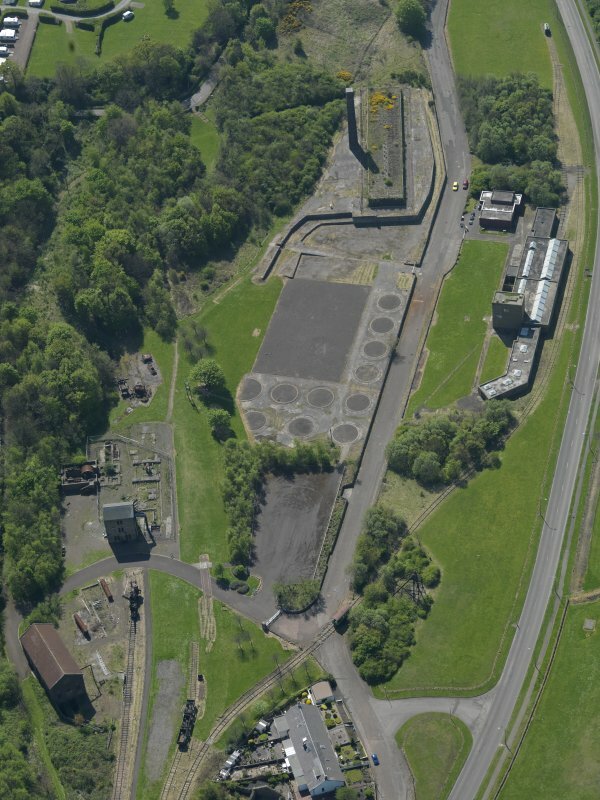 Oblique aerial view centred on the Mining Museum, taken from the SSW. 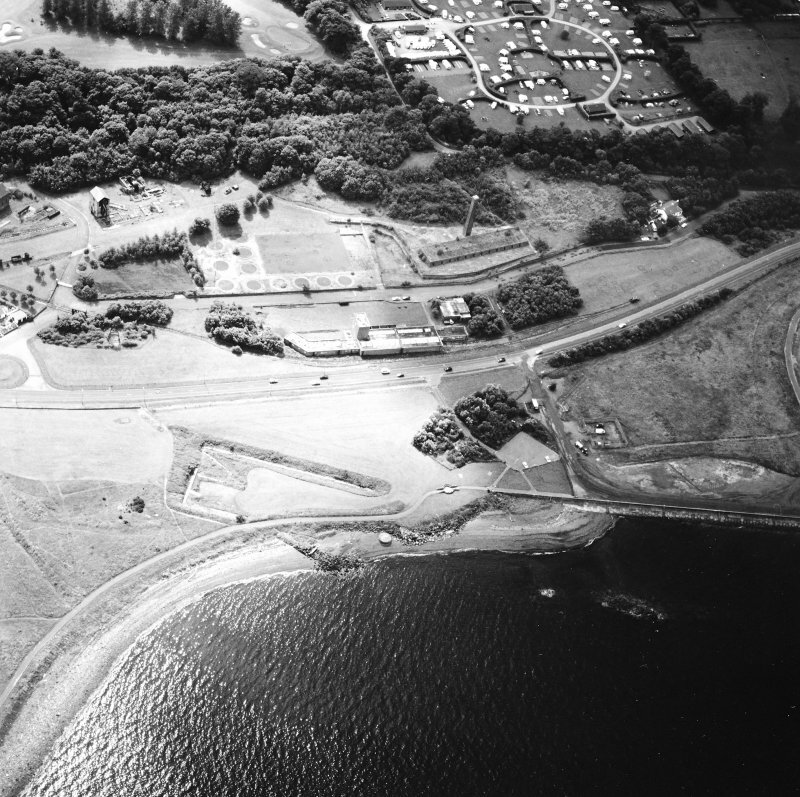 Oblique aerial view centred on the Mining Museum, taken from the WSW. 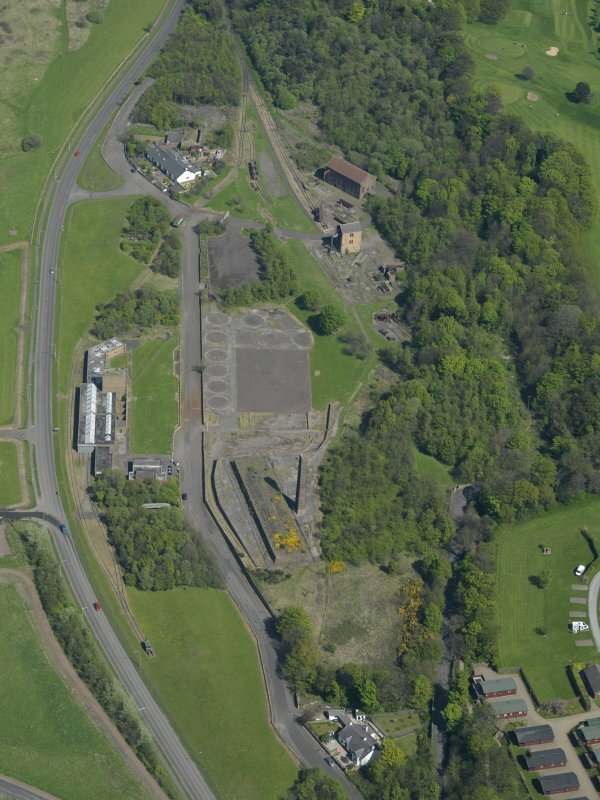 Oblique aerial view centred on the Mining Museum, taken from the NNW. 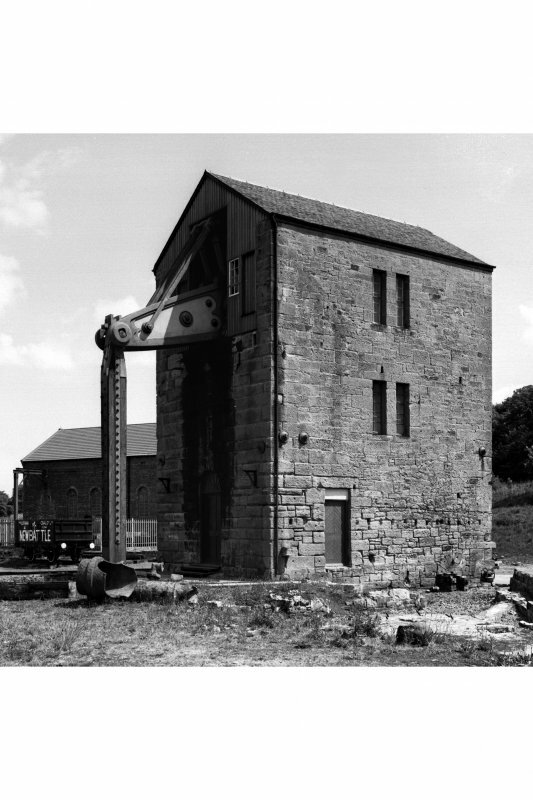 View from NE of Engine House. 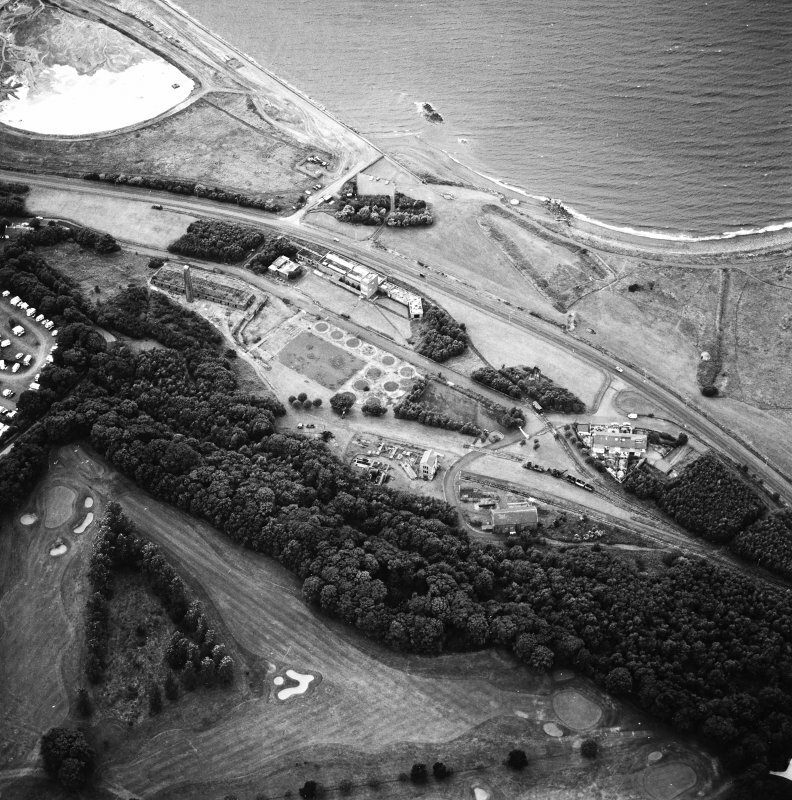 Oblique aerial view centred on the museum and the remains of the coal mine, brick and tileworks and harbour, taken from the NNW. Interior. 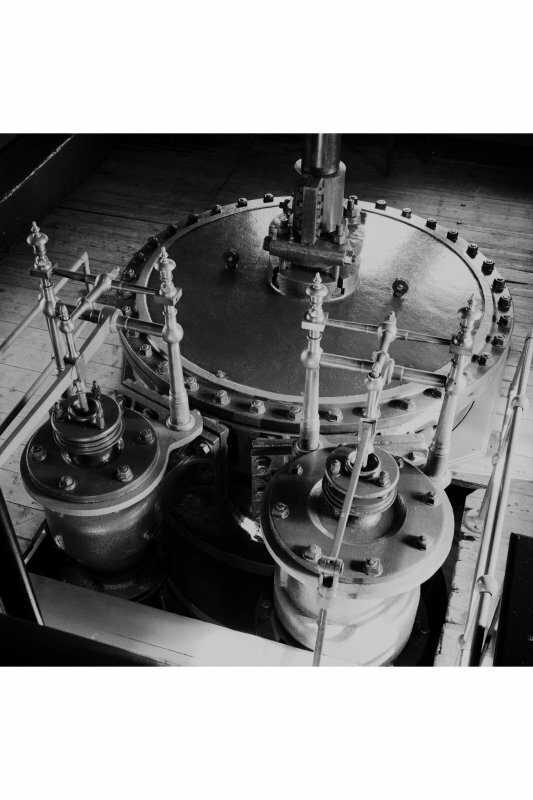 Detail of head of steam cylinder and cut-out valves. 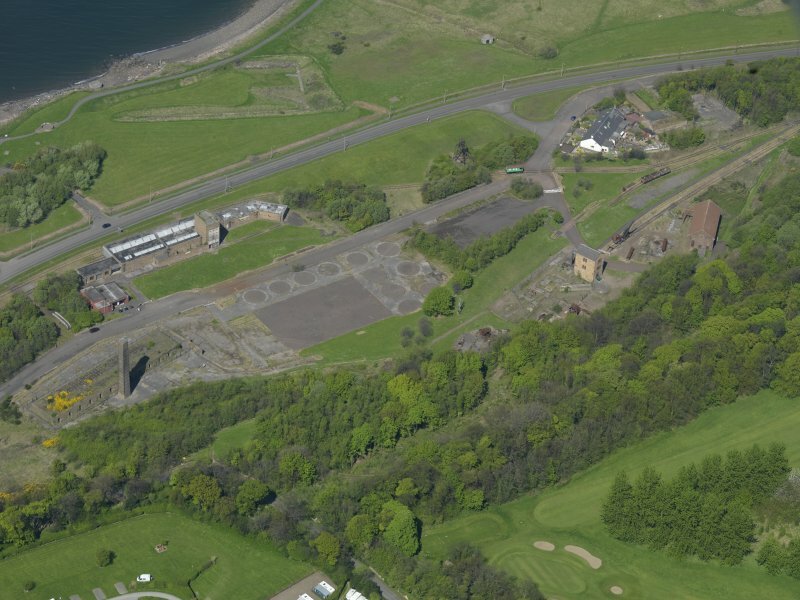 Oblique aerial view centred on the museum and remains of the coal mine, brick-works, tile-works and harbour, taken from the SSE. Interior. 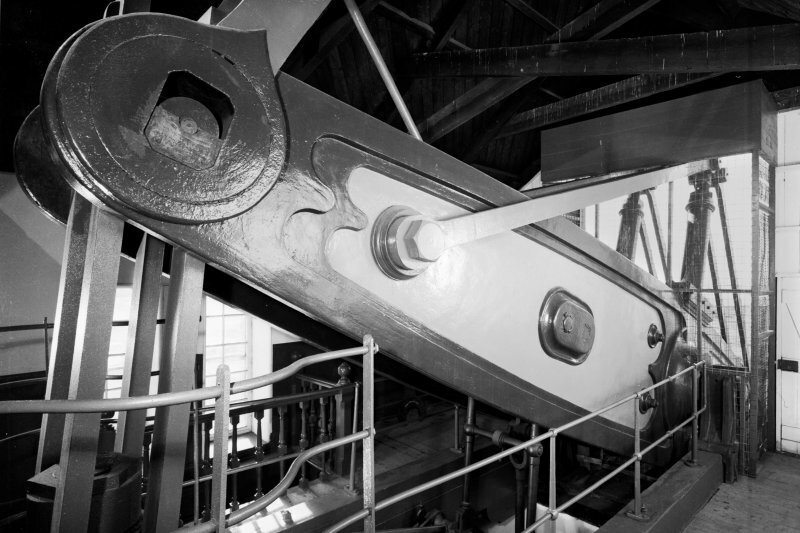 View of steam-end of beam. 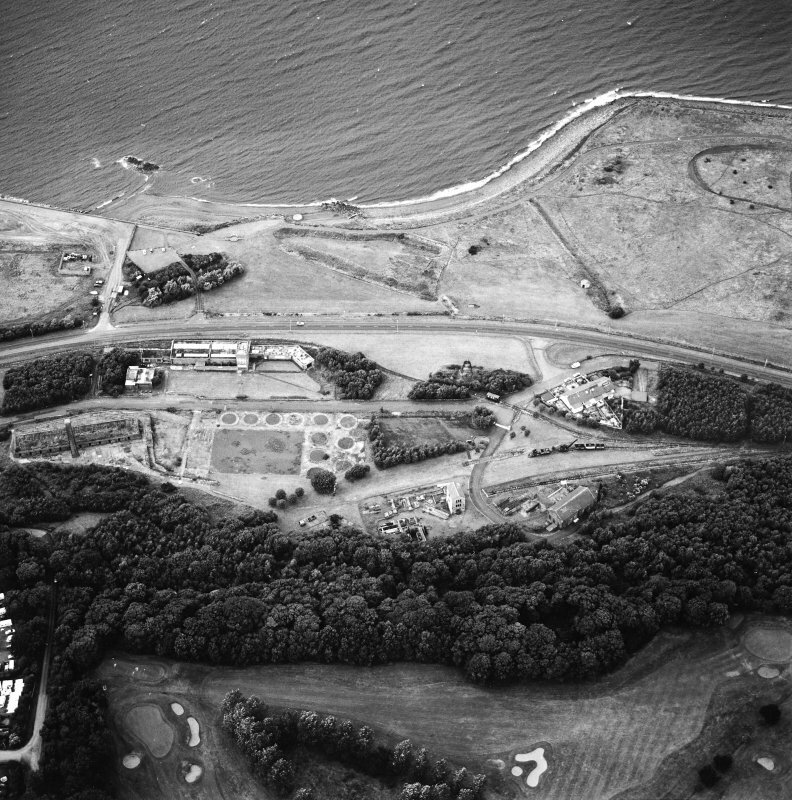 Oblique aerial view centred on the museum and remains of the coal mine, brick-works, tile-works and harbour, taken from the NW. 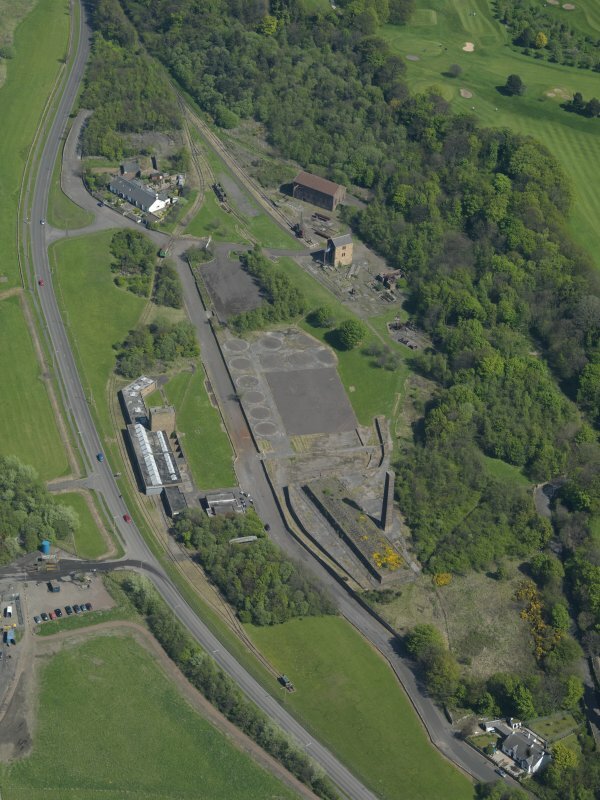 Oblique aerial view centred on the Mining Museum, taken from the NE. 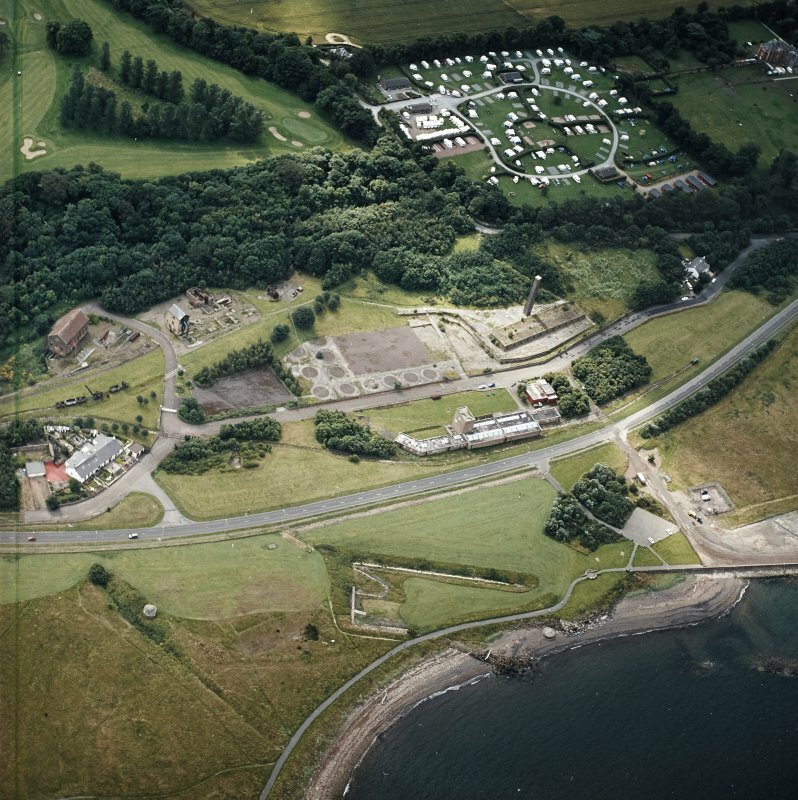 Oblique aerial view centred on the Mining Museum, taken from the SW.
Oblique aerial view centred on the Mining Museum, taken from the NW. 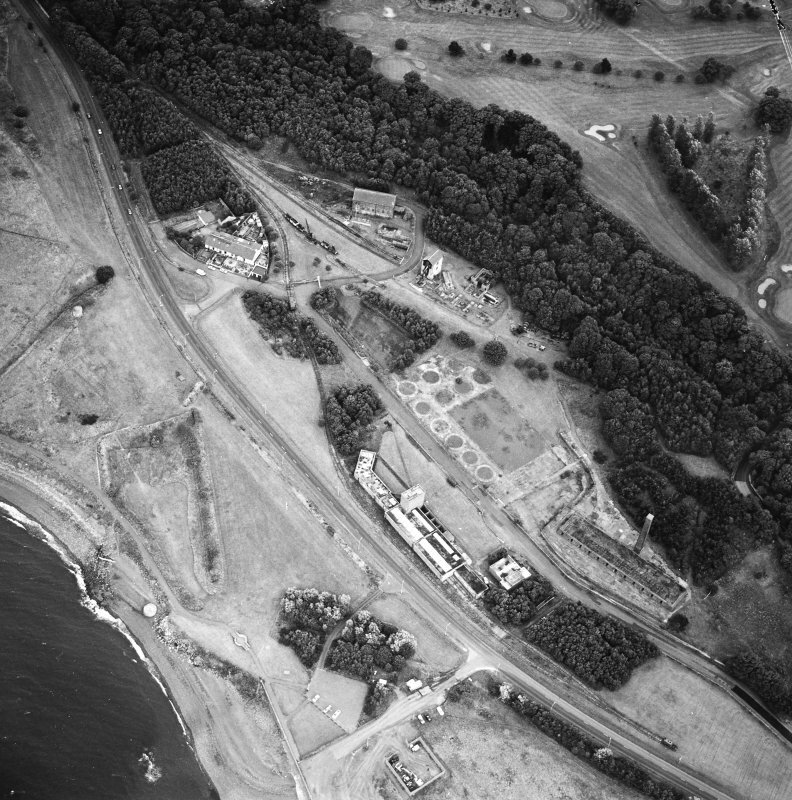 Oblique aerial view centred on the museum and the remains of the coal mine, brick and tileworks and harbour, taken from the NNE. 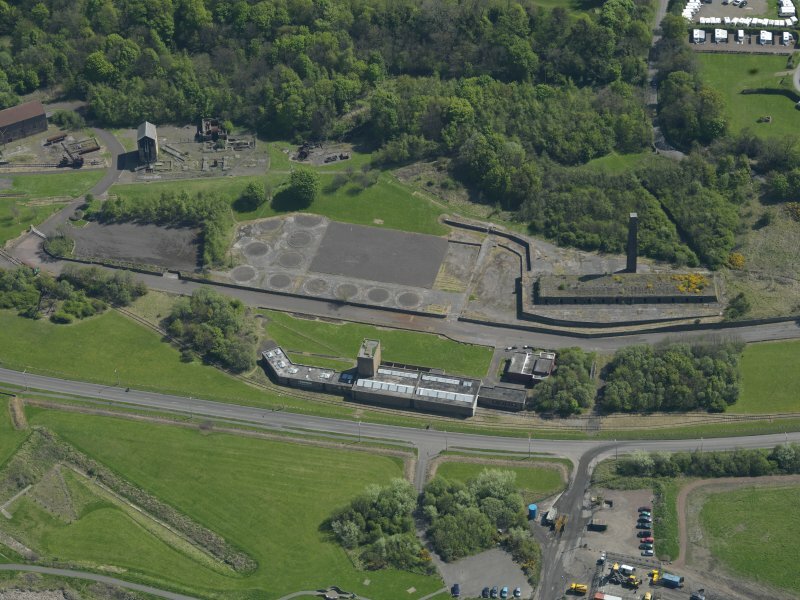 Oblique aerial view centred on the museum and remains of the coal mine, brick-works, tile-works and harbour, taken from the WNW. 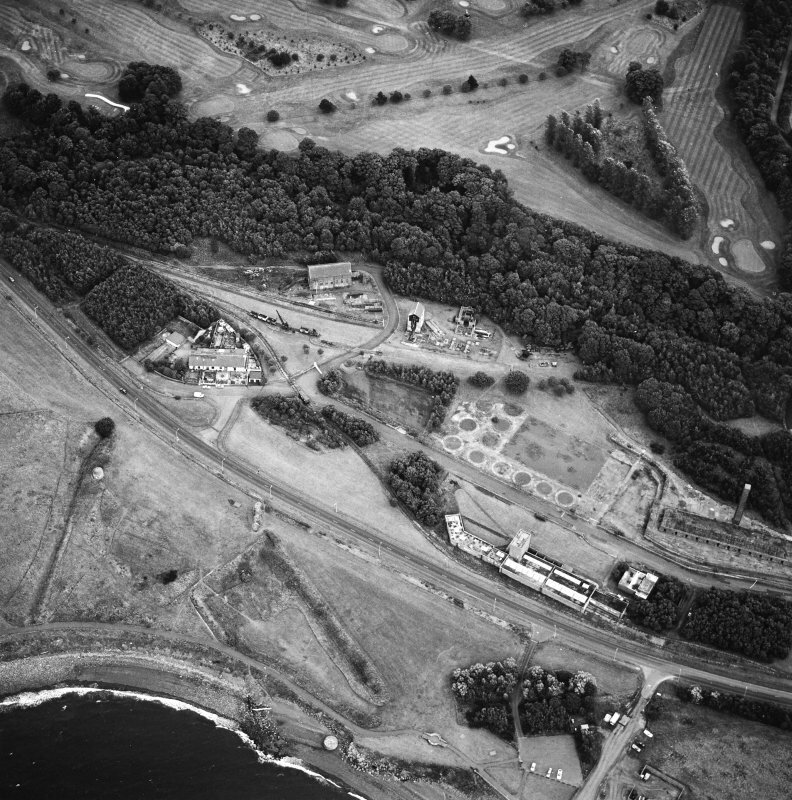 Oblique aerial view centred on the museum and remains of the coal mine, brick-works, tile-works and harbour, taken from the SE. Interior. 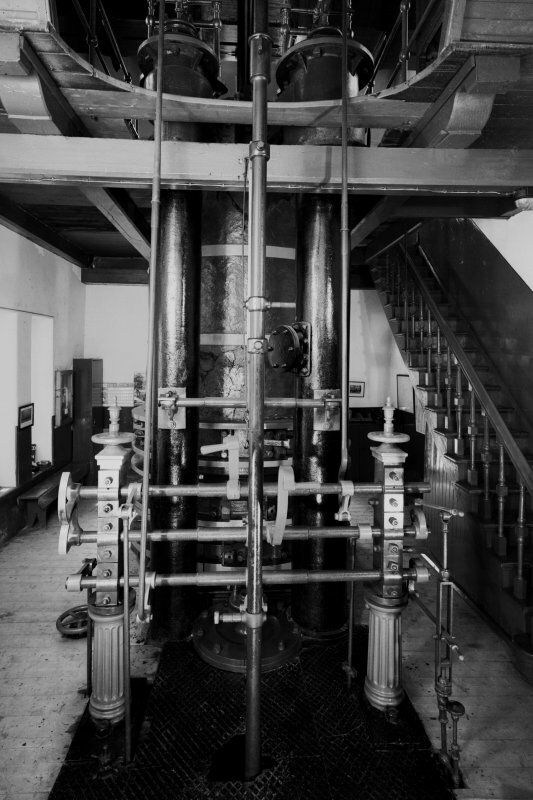 View of steam cylinder and cut-out valves on ground level. 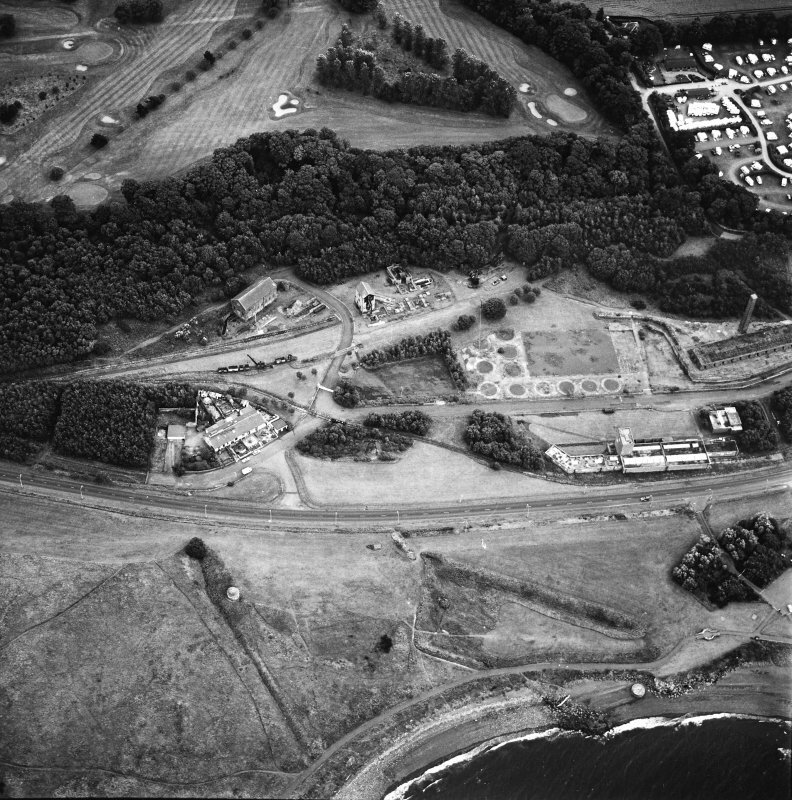 Oblique aerial view centred on the museum and the remains of the coal mine, brick and tileworks and harbour, taken from the NW. 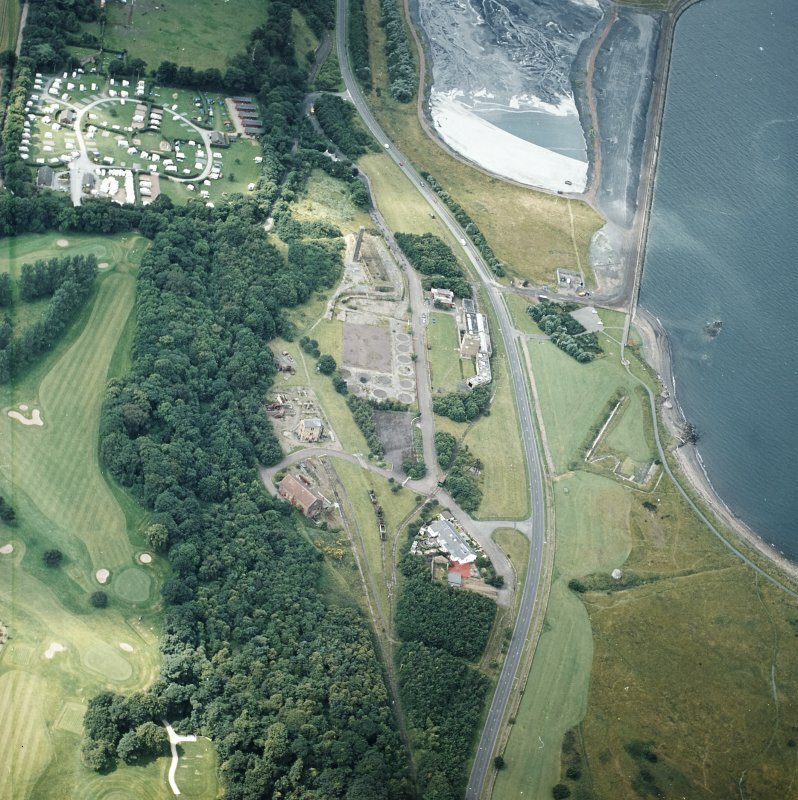 Oblique aerial view centred on the museum and the remains of the coal mine, brick and tileworks and harbour, taken from the N.
Oblique aerial view centred on the museum and the remains of the coal mine, brick and tileworks and harbour, taken from the ENE. 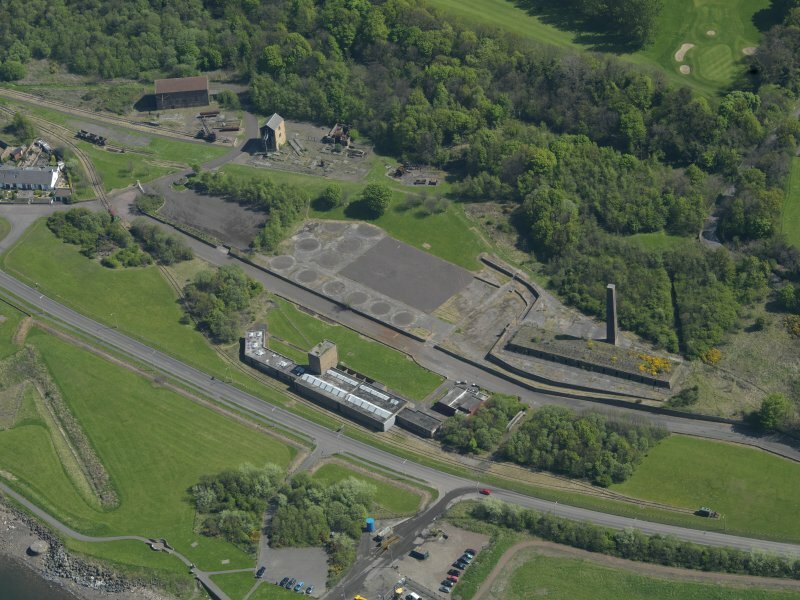 Oblique aerial view centred on the museum and remains of the coal mine, brick-works, tile-works and harbour, taken from the NNW. 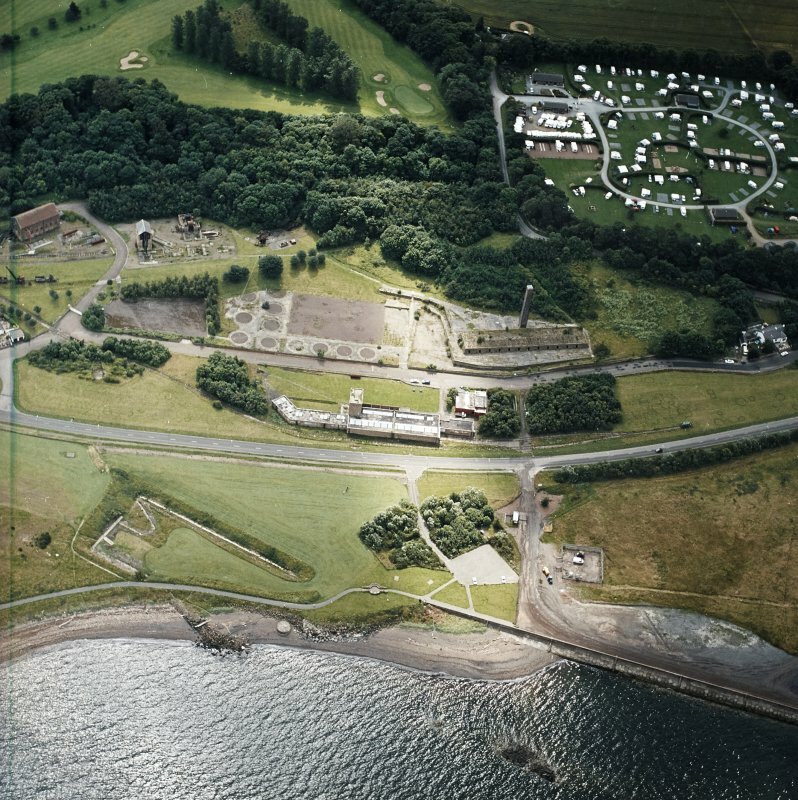 Oblique aerial view centred on the museum and remains of the coal mine, brick-works, tile-works and harbour, taken from the ESE. 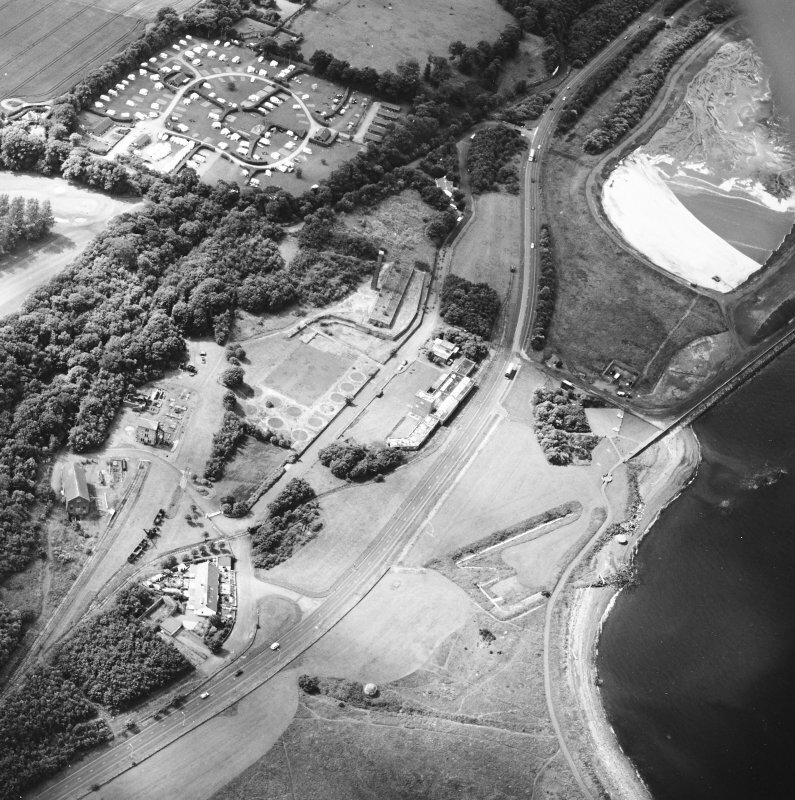 Oblique aerial view centred on the Mining Museum, taken from the SE. Plan, key. insc : 'Prestongrange colliery and Brickwork surface plan' d : '20th century' Acc No. 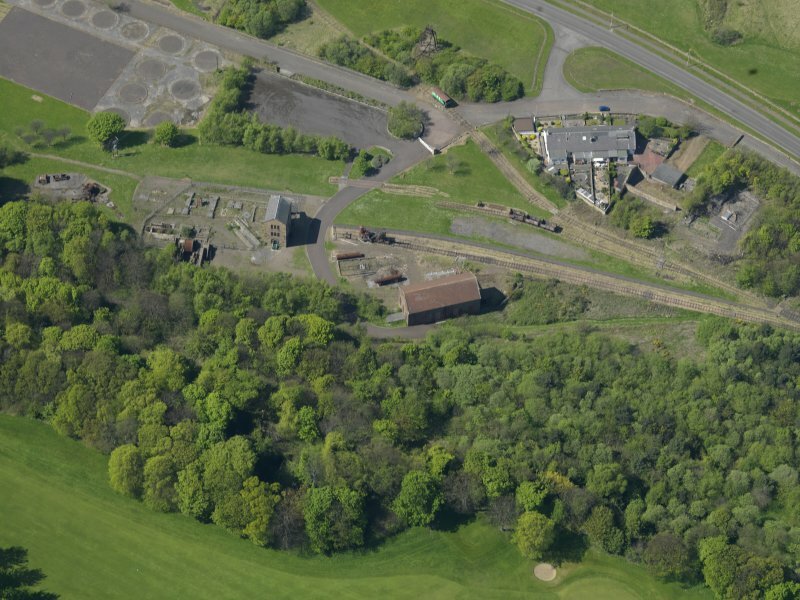 See also NT37SE 79 Prestongrange brickworks. 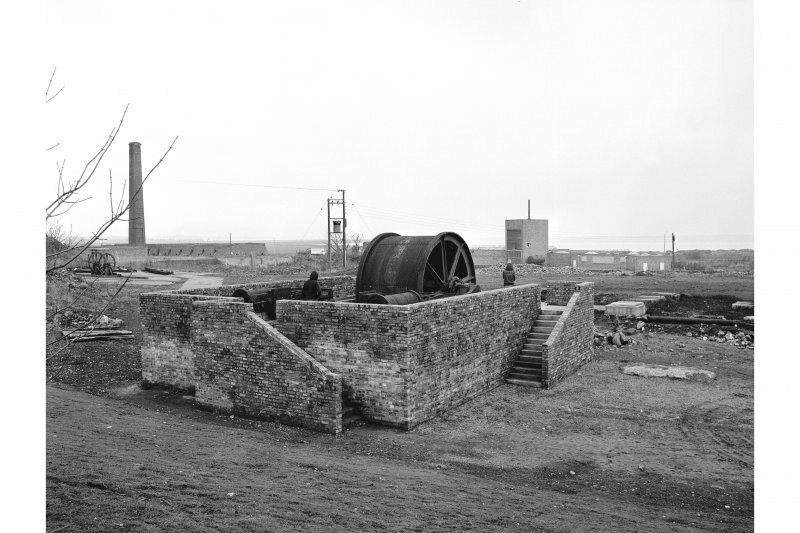 (Pump house and old generating station listed). 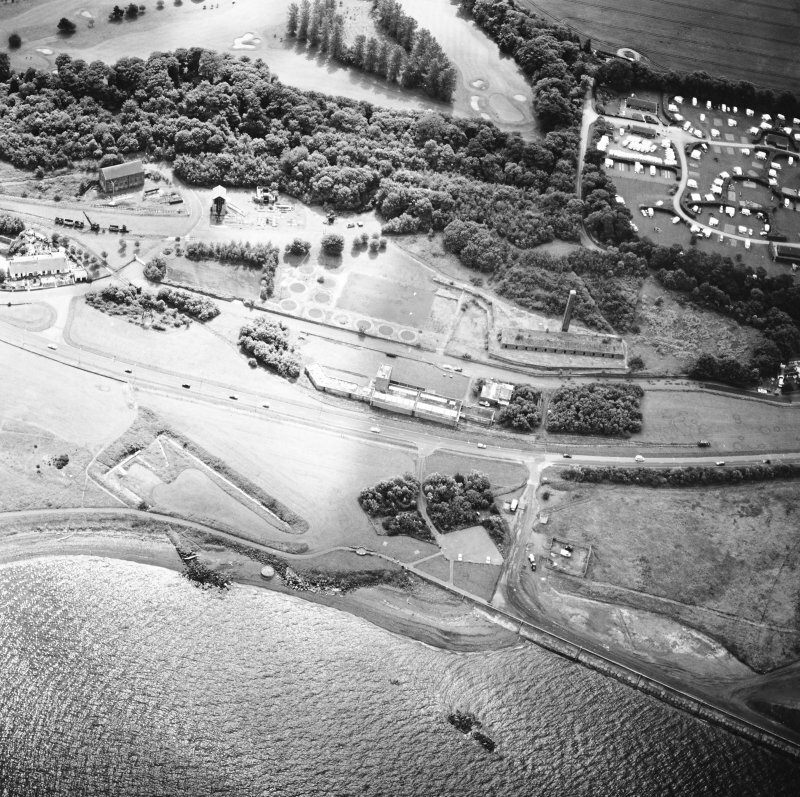 For adjacent and associated harbour of Morrison's Haven, see NT37SE 12. 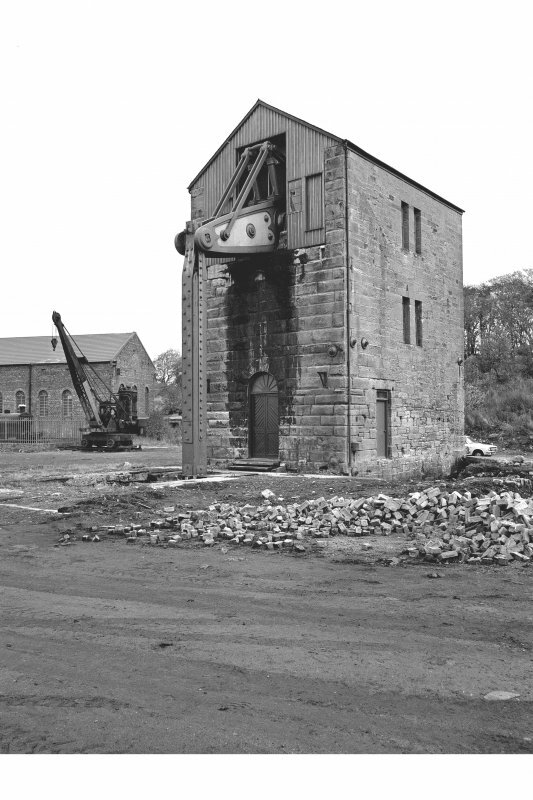 Not to be confused with Scottish Mining Museum, Lady Victoria, Newtongrange (NT 333 637), for which see NT36SW 22.00. 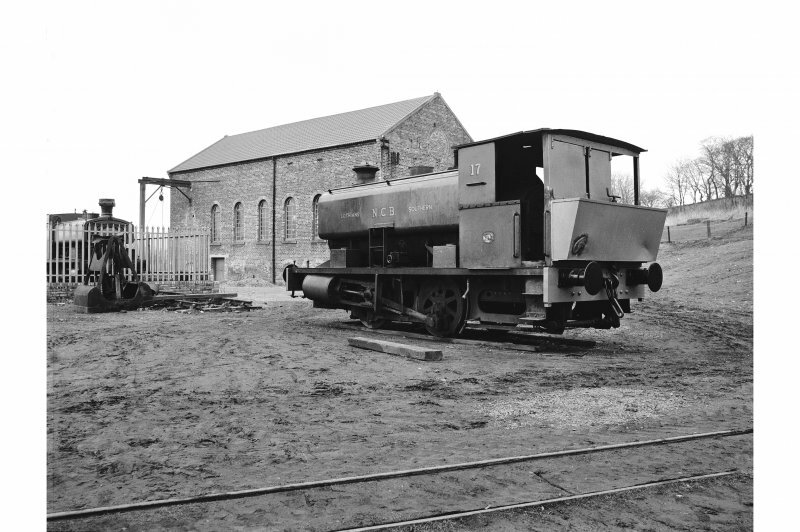 Now a museum, under the Scottish Mining Museum Trust, and part of a 'coal trail'. 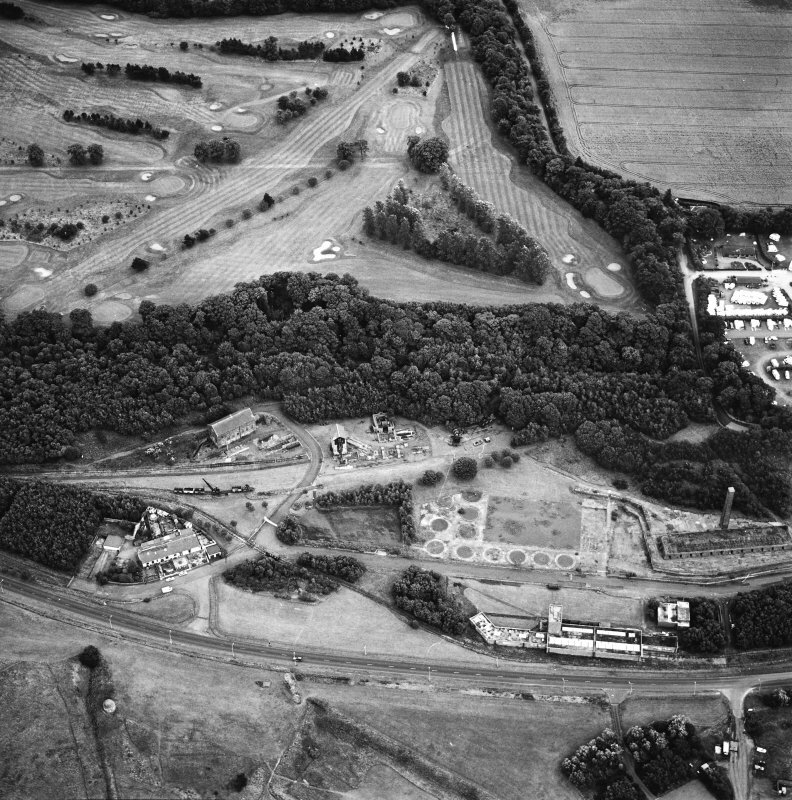 The remains of Prestongrange colliery and associated buildings are visible on a vertical air photograph (OS 85/015/28, flown 1985). 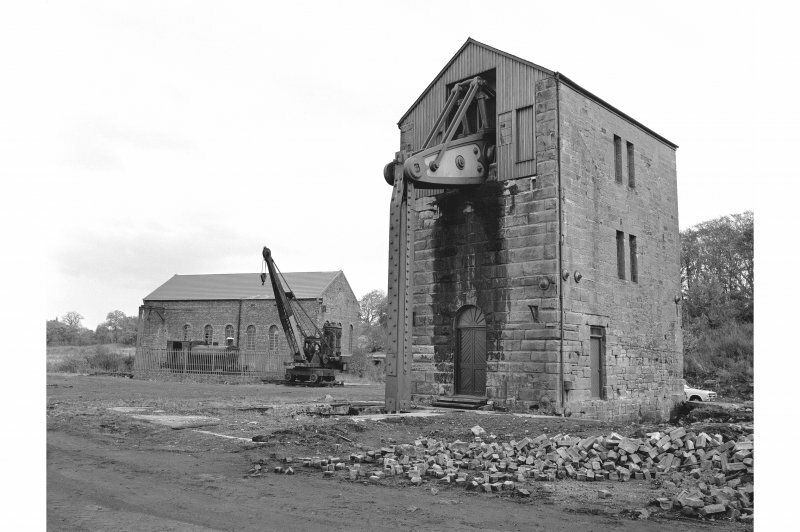 Previous Owners: Originally the Grant Suttie family, and from 1874 the Prestongrange Coal and Iron Company. 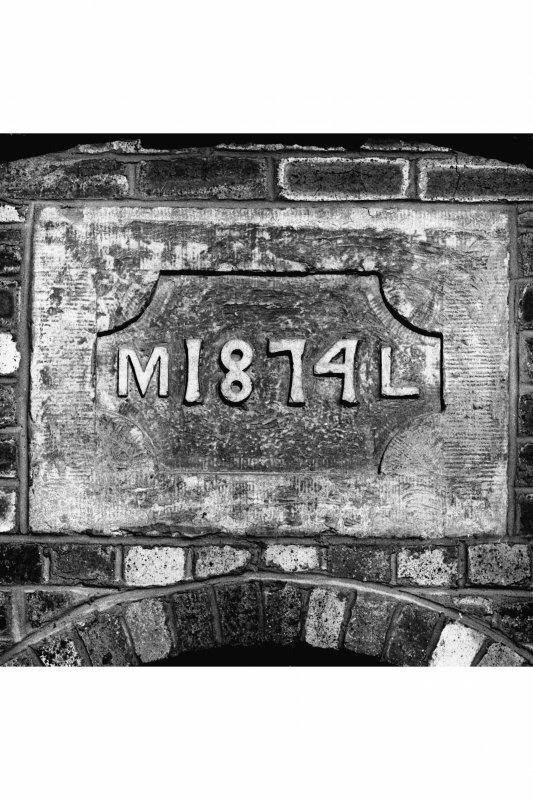 Taken over in 1895 by the Summerlee and Mossend Iron Company, which became the Summerlee Iron Company in 1898. 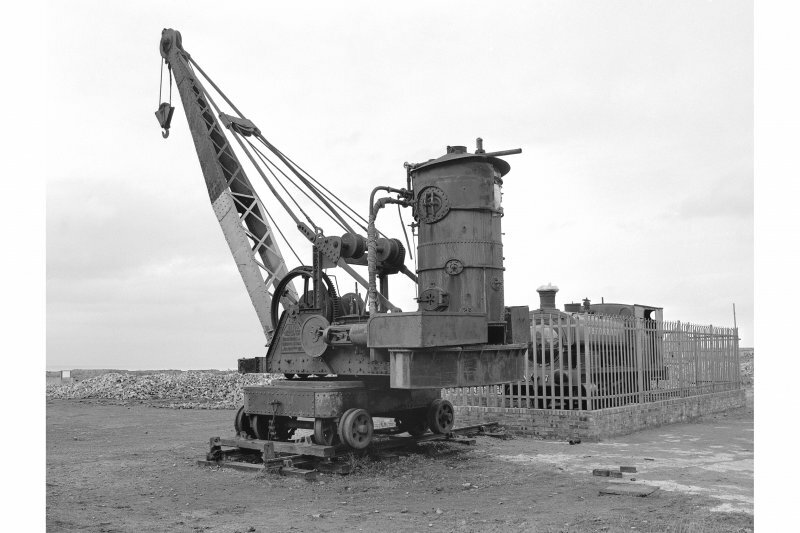 Details in 1948: Output 670 tons per day, 167,000 tons per annum. 654 employees. Norton washer. Canteen (sandwich), ambulance room with ambulance. 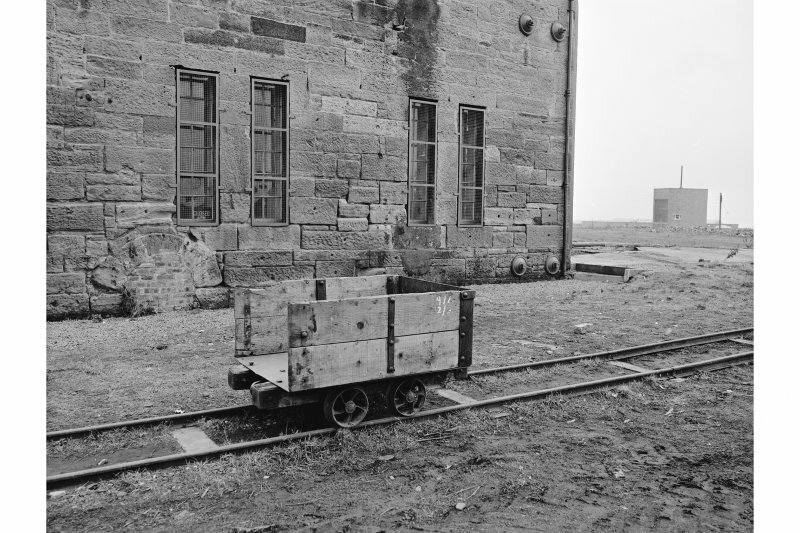 Power generated at colliery, but to be replaced by SE Scotland Electricity Board supply in September 1948. Report dated 15-07-1948. Other Details: The beam engine for No. 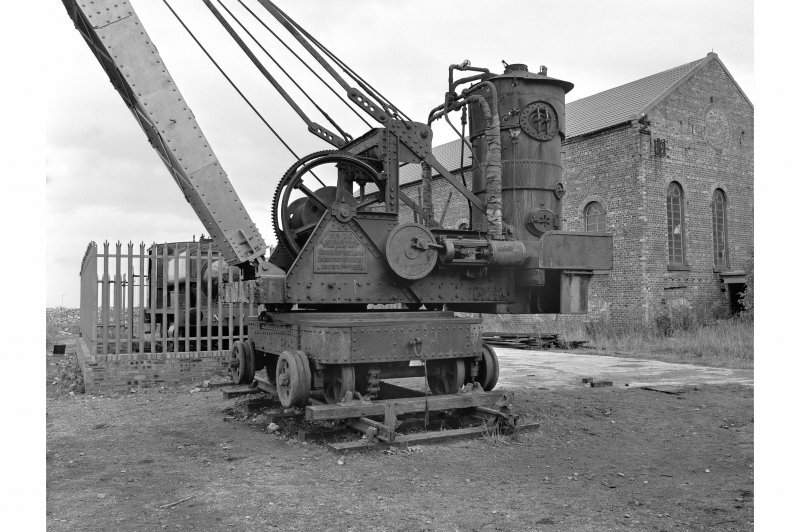 1 shaft (which was built in Plymouth and survives as part of the museum, NT37SE 78.01) ) was bought from Harvey & Company of Hayle in Cornwall, and pumped water from the mineworkings from 1874 until 1954. 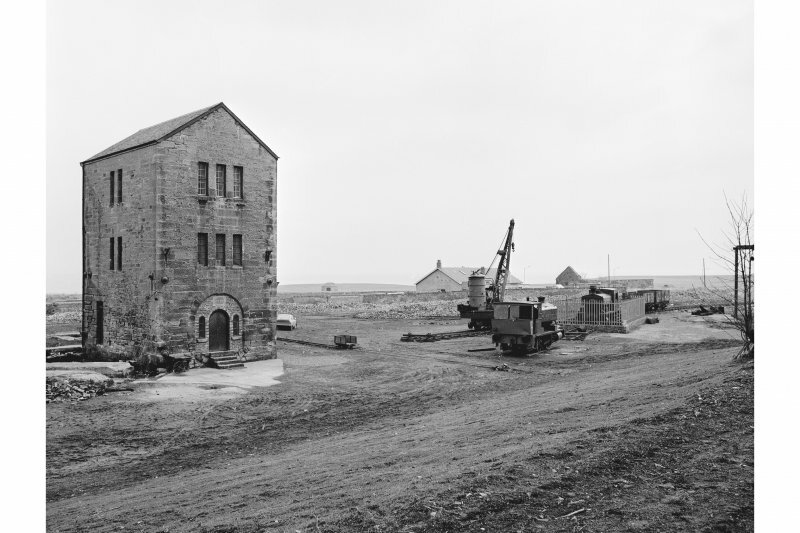 The pithead baths were completed in 1952 and were the 100th to be installed at Scottish collieries. 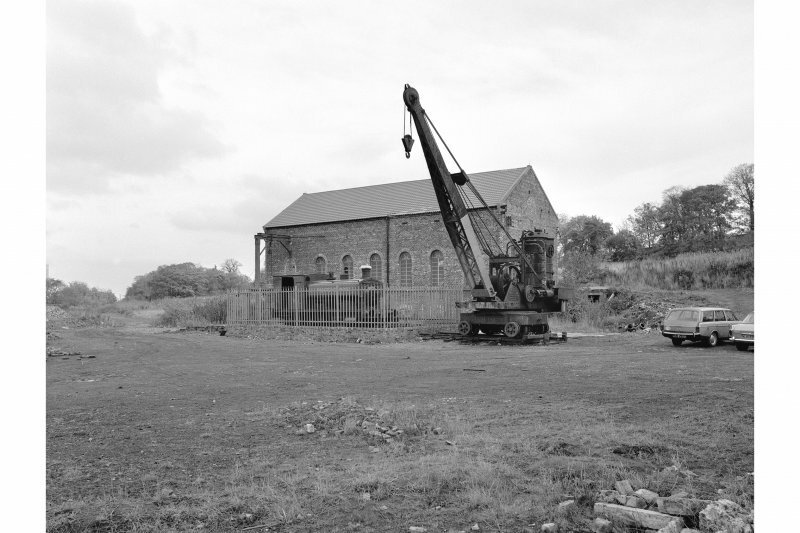 The colliery was greatly enlarged by the addition of a brick, tile and fireclay works in the 1890s, which operated until the 1970s. 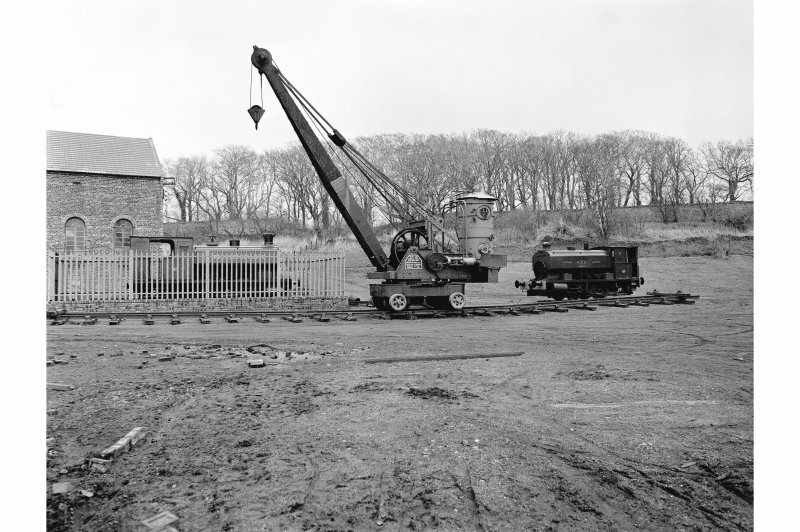 Following the mine's closure in the 1960s, it became a pioneering force behind the creation of the Scottish Mining Museum, of which it formed a major part along with Lady Victoria Colliery in neighbouring Midlothian. 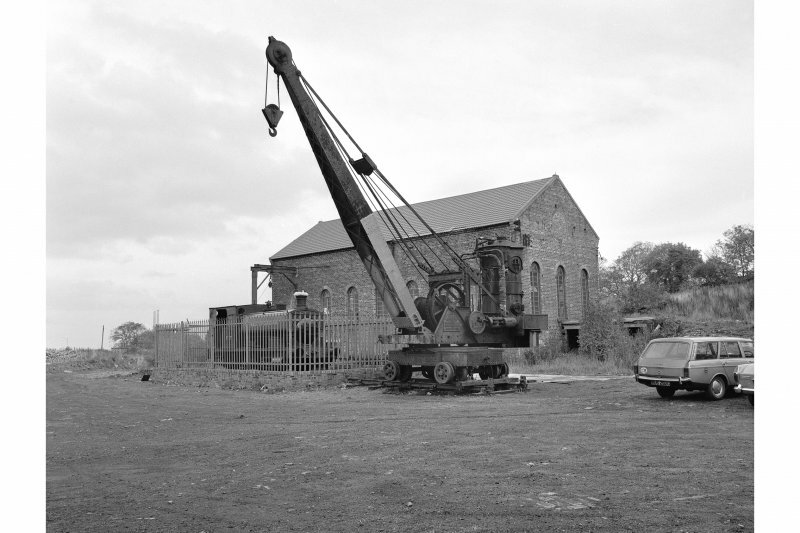 Following local authority re-organisation in the 1990s and the abolition of Lothian Region, Prestongrange became part of the East Lothian Museums Service, and remains open to the public as 'Prestongrange Industrial Heritage Museum'. This site has only been partially upgraded for SCRAN. 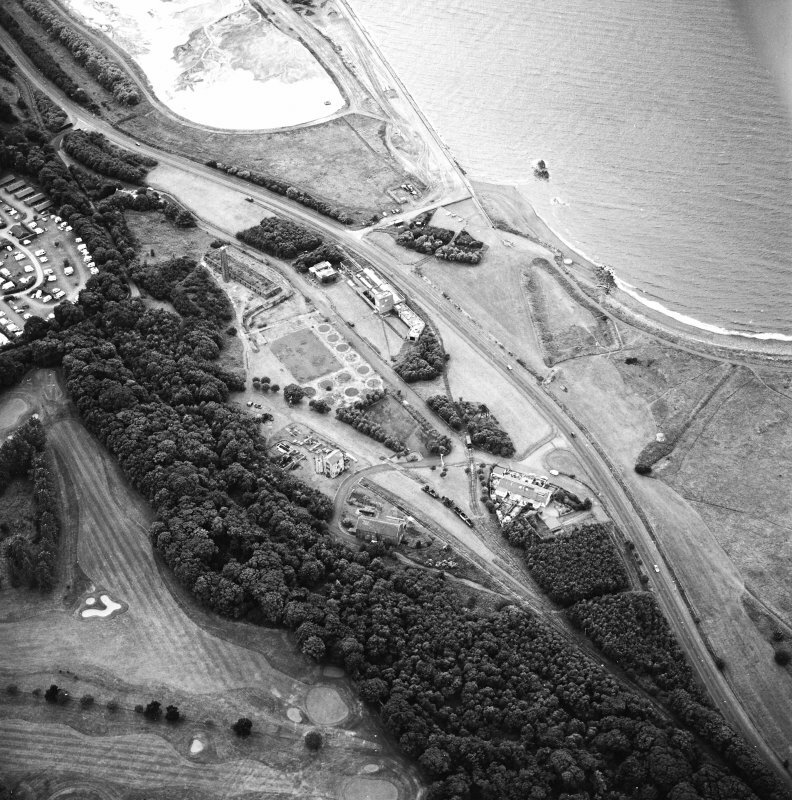 For further information, please consult the Architecture Catalogues for East Lothian District. extended in 2009. Oral reminiscence work and historical research are ongoing.